This week Saturday Night Live debuted their latest cast member, Shasheer Zamata. Her addition to the 39 year old comedy ensemble came after well-publicized and deserved criticism led to the show bowing to pressure listening to the criticism and—surprise, surprise—finding the talent they thought was so elusive. Shasheer brings the total women of color on the show to 4 of 138 cast members over 39 years, or almost 3%, still well below the 18% that women of color make up in the general population. Hype bubble busted. Shasheer’s talent is undeniable, but let’s take a look at the actual episode. First let us say that this talented young actress has earned her spot on the show, with a solid track record in comedy. Shasheer appeared in several of the opening skits to satisfy the hungry eyeballs. But making media diversity work is about two things—the number of people of different races and also the quality of the character that they portray. While Shasheer did make it into 4 sketches with 5 characters—more than some of the other new cast member added in the fall–I’m not so sure we really got to see her stretch her wings. In her debut episode, Shasheer played Keenan Thompson’s wife at a bar mitzvah, a dancing smoking Rhianna-as-Blossom, Two Chains’ younger sister, a backup singer, a girl hosting a slumber party and a student in detention. Ground breaking? Not yet. So while SNL did finally get it together and try to do the right thing incorporated more diversity into their line-up by adding a black female, the jury is still out to see if they will provide the opportunity for her to play characters that go beyond stereotypical roles. 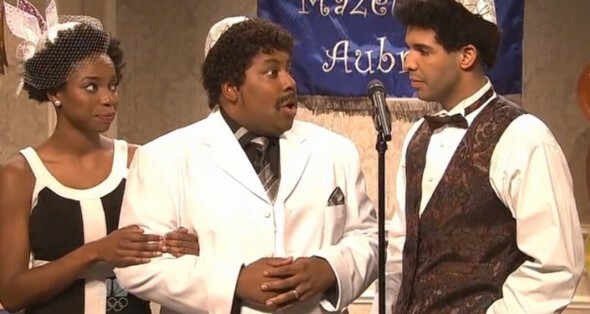 Here’s the bigger story: stealing the diversity card for the show was the guest host Drake. Of course he appeared in more sketches, but what made the night his was the diversity of roles he played. Drake himself has a background that breaks stereotypes: rapper but not gangster, Canadian, multiracial and, as he told us, polite. Because we know him to be all these things, SNL played with the kinds of characters he portrayed with barely a nod to playing a chain-wearing gang banger. 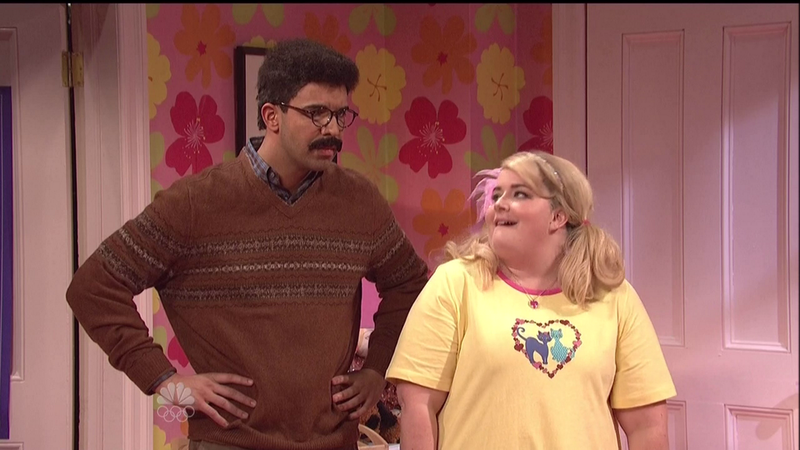 It seems like SNL was able to write interesting roles for Drake that asked us to question racial boundaries as we laughed. The range of charters he played brought a sparkle of diversity into an otherwise typically stereotypical episode. Now if they can just learn to keep those roles coming for their regular cast members, they may be on to something.